Contact Belanger Engineering for all your engineering & building system needs! 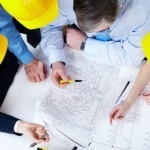 At Belanger Engineering, we are a building science engineering firm that serves the Toronto, Ontario area. From mechanical systems and electrical systems to building envelopes and thermographic analyses, the engineering projects that we work on are highly diverse. We take pride in the fact that our team has the knowledge and skills required to devise and implement effective solutions for our clients. Whether you have a roof replacement project or a balcony restoration project for us to work on, we will consider your building’s unique features before recommending solutions. One of our main goals is to always consider the needs of the property owner in regards to their budget constraints and their property management goals. Keep in mind that our team is comprised of mechanical, structural, civil, and building science engineers. For this reason, you can rest assured that we are more than capable of handling all of your engineering needs with precision.